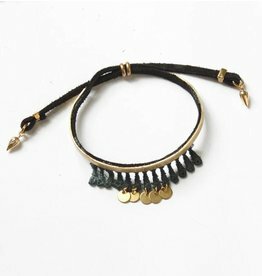 Bohemian style suede, brass and teal lace bracelet. 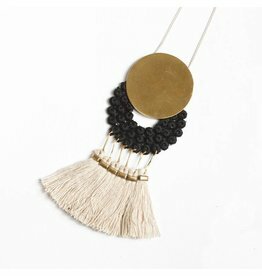 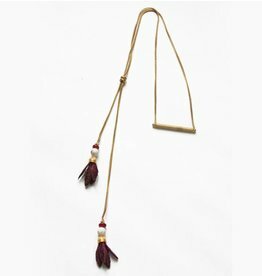 Boho style bolo tie choker necklace in brass, marble and burgundy lace. 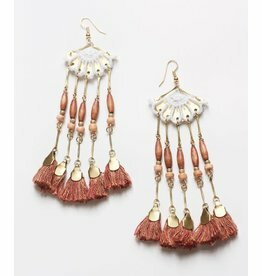 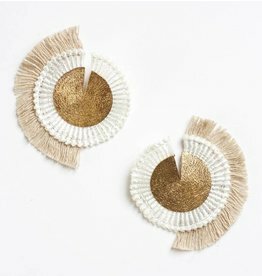 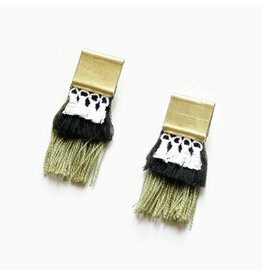 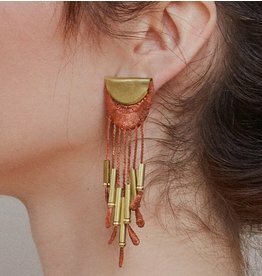 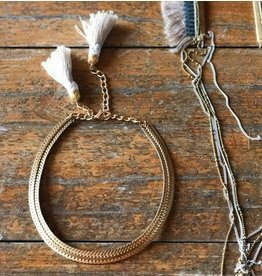 Circular fringe earrings with lace and brass. 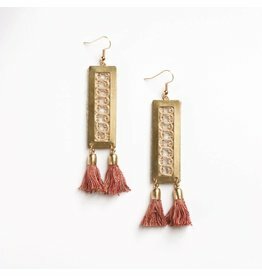 Boho lace and brass stud earrings with a floral motif. 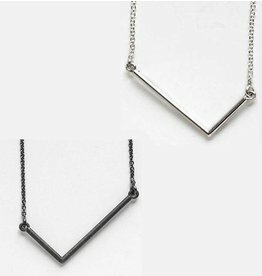 Modern minimal sterling silver L shaped necklace. 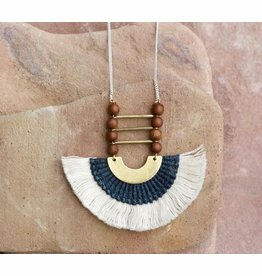 Modern minimal sterling silver line necklace. 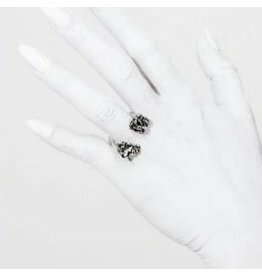 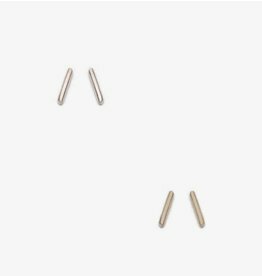 Modern and minimal small line studs. 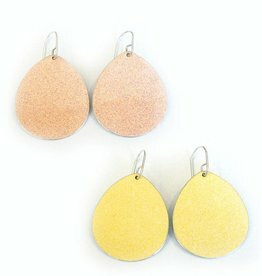 Modern yet retro colour pop drop earrings of powdercoated steel and sterling silver. 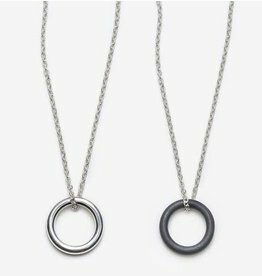 Modern and minimal sterling silver circle pendant necklace. 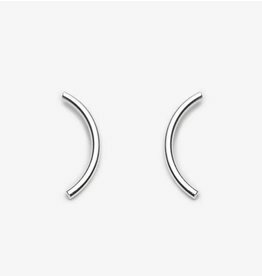 Modern and minimal sterling silver curve stud earrings. 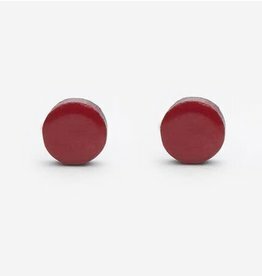 Small sterling silver circular powdercoated red stud earrings. 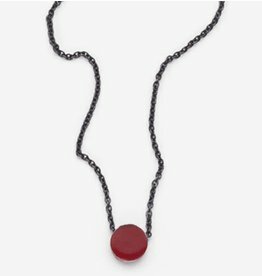 Oxidized sterling silver pendant necklace with red powdercoated disc. 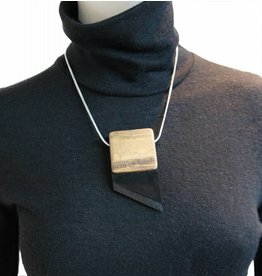 Beautifully handcrafted wood and leather necklace on a smooth chain.